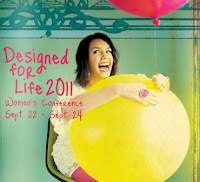 This weekend, Friday, September 9 through Sunday, September 11, Nancy will be celebrating her birthday weekend in Asheville, NC with her friend, Pastor Suzette Bowman, speaking at the Becoming 2011 Women’s Conference. Nancy will then be joining Suzette and her husband, Pastor Kirk Bowman, for their Sunday services at The Rock Church. Click here for more information or to register for the conference. 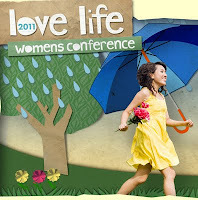 Then, on Wednesday, September 14 through Saturday, September 17 Nancy is excited to head to the Mercy home in St. Louis to spend time with the girls and staff, followed by three days at the Joyce Meyer Love Life Women’s Conference! Nancy is so honored to be speaking this year alongside Joyce Meyer and John and Stasi Eldredge. You also won’t want to miss CeCe Winans and Israel Houghton who will be leading worship for the event. You can register for the Love Life Women’s Conference by clicking here. On September 18, we will launch our live, one-hour radio show, Mercy Multiplied, hosted by Nancy Alcorn on KXEN 1010am Christian Talk in St. Louis from 6:00-7:00pm CST (7:00-8:00pm EST) every Sunday night! But you don’t have to be in St. Louis to tune in – there are several ways to listen live. Go to www.mercymultiplied.com to listen to the show and subscribe to the podcast. You can even download a free app for your iPhone or Droid by searching for KXEN 1010 in the app store, and hear the show live wherever you go! Next up, on Thursday, September 22 through Sunday, September 25 Nancy will meet up with her dear friend, Pastor Debbie Lindell of James River Assembly in Springfield, MO, as a guest speaker for the Designed for Life Women’s Conference. Also speaking at the conference are Charlotte Gambill from Abundant Life Church in the UK, and John and Helen Burns from Relate Church in Vancouver, Canada. Debbie and her husband, Pastor John Lindell, generously invited all the staff and residents from our St. Louis home to attend the conference. Many of our amazing Mercy graduates will also be there for this life-changing event. It should prove to be quite a Mercy reunion! For more information or to register, click here. Please pray for safe travel this season and that many lives will be touched by Nancy’s message of lives transformed and hope restored. Also, pray that God would touch people’s hearts to help with our current financial needs. For more information about upcoming events this fall, go to www. mercyministries.com or check out Nancy’s blog at www.nancyalcorn.com. Mercy Ministries Wants To Connect With You! Supporters From Coast to Coast Run for Mercy! Mercy Graduates Celebrate In Monroe!! !